Our range of products include instant aampanna drink, instant masaledar nimbupani, instant lemon ginger drink, instant orange drink, instant tadkedar nimbupani drink and instant pineapple drink. We are offering Instant Aampanna Drink. 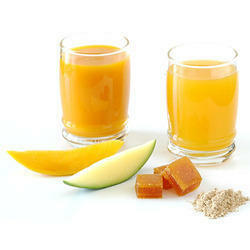 Description: Aam Panna Drink Provides A Refreshing Ripe Green Mango Note With Sweet Salty Profile In The Background. (a Few Soft Lumps Are Permissible). Ingredients: Sugar, Glucose Syrup Solids, Salt, Acidity Regulator (e 296), Grounded Spices, Sequestering Agent (e 331), Vitc (e 300), Stabilizer (e 466), Anti-Caking Agent (e 551). Contains Added Flavour: Natural And Nature Identical Flavouring Substances. For Instant Drink: Add 25 Gms. To 200 Ml. Of Chilled Water. If Ice Is Added Reduce Water Accordingly. For Ice Slush: Add 25 Gms. To 200 Gms. Of Crushed Ice Or Blend Whole Ice & Drink Premix In Commercial Barblender. Shipping & Storage: Shipping And Storage Temperatures Should Not Exceed 40°C. Storage Should Be In Clean & Dry Place. Description: Nimbupani Drink (masaledar) Provides A Refreshing Fresh Lime Note With Unique Sweet & Salty Profile In The Background. (a Few Soft Lumps Are Permissible). Ingredients: Sugar, Glucose Syrup Solids, Salt, Acidity Regulator (e 330), Spices And Condiments, Sequestering Agent (e331), Vit C (e 300), Stabilizer (e 466), Anti Caking Agent (e 551). Recommended Usage: For Instant Drink: Add 25 Gms. To 200 Ml. Of Chilled Water. If Ice Is Added Reduce Water Accordingly.For Ice Slush: Add 25 Gms. To 200 Gms. Of Crushed Ice Or Blend Whole Ice & Drink Premix In Commercial Barblender. We are actively committed to offering Instant Lemon Ginger Drink (Ginger Ale). This product is extremely popular in restaurants, hotels & beverage industry. Presented product enhances the taste and flavor of fruit beverages, ice creams, soft drinks and is globally admired for its purity. Customers can avail this product from us at the reasonable price. Recommended Usage for Instant Drink: Add 25 Gms. To 200 Ml. Of Chilled Water. If Ice Is Added Reduce Water Accordingly.for Ice Slush: Add 25 Gms. To 200 Gms. Of Crushed Ice Or Blend Whole Ice & Drink Premix In Commercial Barblender.For Mocktalls: Add 10 To 15 Gms. 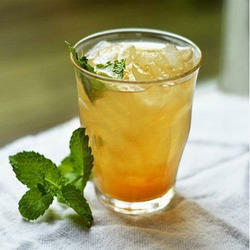 With Any Fresh Juice/s & Ice For A Nice Refreshing Mocktail. 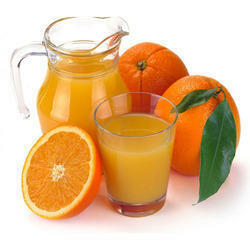 We are engaged in offering high-quality Instant Orange Drink. 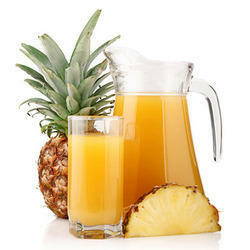 Rich in essential nutrients and vitamin c, it is mainly consumed as refreshing drink all over the globe. This drink is processed using quality-assured natural ingredients with the aid modern methodology in line with global quality standards by our deft professionals. This drink is very refreshing and healthy therefore it can be consumed by the children of all age groups. 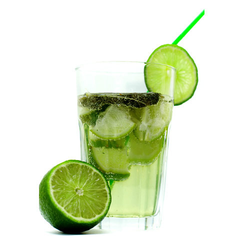 Description: Nimbupani Drink (tadkedar) Provides A Refreshing Fresh Lime Note With Unique Sweet & Salty Profile In The Background. (a Few Soft Lumps Are Permissible). Ingredients: Sugar, Glucose Syrup Solids, Salt, Acidity Regulator ( E 330), Red Chilly Powder, Sequestering Agent ( E 331),Vit C ( E 300 ), Stabilizer ( E 466), Anti Caking Agent ( E 551). We are a renowned entity, engaged in manufacturing, exporting, wholesaling and supplying a wide assortment of Instant Pineapple Drink. 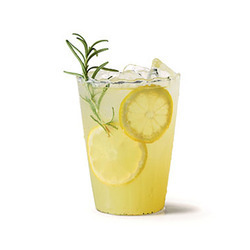 This drink provides a refreshing ripe pineapple profile. Our drink is finely processed and highly demanded all over the country due to its high quality and healthy ingredients like Sugar, Acidity Regulators (E 296, E 330), Sequestering Agent (E 331), Vit C (E 300), Stabilizer (E 466), Anti-Caking Agent (E 551). For Ice Slush: Add 25 gms. to 200 gms. of crushed Ice or blend whole ice & drink premix in commercial barblender.For Mocktalls: Add 10 to 15 gms. with any fresh juice/s & Ice for a nice refreshing mocktail. We are offering Instant Watermelon Drink. 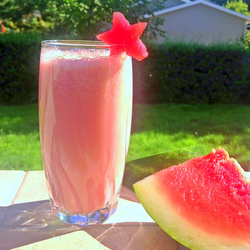 Description: Watermelon Drink Provides A Refreshing Ripe Watermelon Profile. (a Few Soft Lumps Are Permissible). Ingredients: Sugar, Stabilizer (e 466) Anti-Caking Agent (e 551). Contains Permitted Artificial Colours (e 110, E 122). Contains Added Flavour: Nature Identical Flavouring Substance. Recommended Usage: For Instant Drink: Add 25 Gms. To 200 Ml. Of Chilled Water. If Ice Is Added Reduce Water Accordingly. For Ice Slush: Add 25 Gms. To 200 Gms. Of Crushed Ice Or Blend Whole Ice & Drink Premix In Commercial Bartender. For Cocktails: Add 10 To 15 Gms. With Any Fresh Juice/S & Ice For A Nice Refreshing Mocktail. For the miscellaneous requirements of our clients, we are engaged in offering Instant Mango Drink. Our drink is processed under hygienic conditions from the sugar, Acidity Regulators (e 296, E 330), Stabilizer (e 466), Anti-Caking Agent (e 551).contains Permitted Synthetic Food Colors (e 102, E 110). Moreover, we are offering this drink in various packaging options at market leading prices. We are offering Instant Plain Nimbupani. 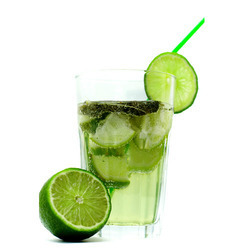 Description: Nimbupani Drink (plain) Provides A Refreshing Fresh Lime Note With Unique Sweet & Salty Profile In The Background. (a Few Soft Lumps Are Permissible). Ingredients: Sugar, Glucose Syrup Solids, Acidity Regulator (e 330), Vit C (e 300), Sequestering Agent (e 331), Stabilizer (e466), Anti-Caking Agent (e 551). Contains Added Flavour: Natural & Nature Identical Flavouring Substances. Looking for Instant Drink ?